Chesterfield sofas and chairs grace some of the finest homes, hotels and establishments in the world, so why not bring that elegant luxurious class into your home with a Chesterfield sofa of your own? Offering the classic Chesterfield sofa model, Zest Interiors are the perfect choice of distributor. With fabulous discounts across the entire selection, you’ll be hard pushed to find better value, hand-crafted Chesterfield sofas anywhere else. Chesterfield sofas look fabulous in any setting but suit a more classic, traditional room. Warm colours such as Antique blues, browns, reds and greens are the perfect accompaniment to a Chesterfield, in addition to chunky wooden furniture that offers an old feel – antique furniture is ideal! That said, a stunning Chesterfield sofa would be a fantastic contrast to a sleek white room – especially a bright, bold colour like blue or red. Contemporary furniture is all too easy to find, so a Chesterfield sofa would be an excellent way to mix it up and add an extra touch of style to a room – not to mention the class they are associated with. 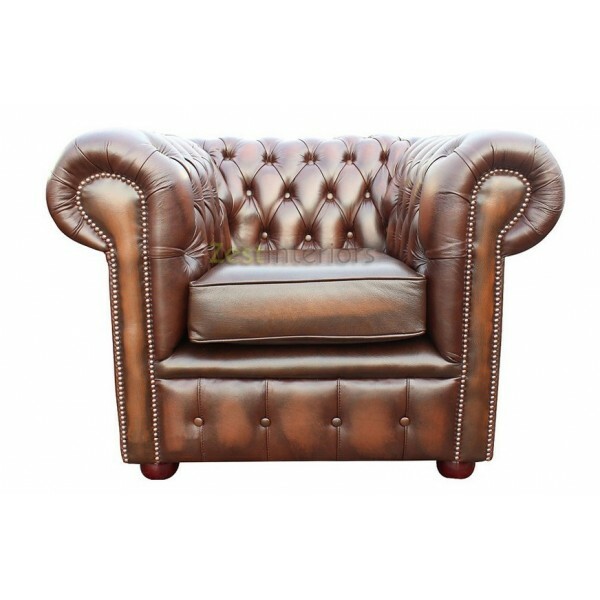 Here at Zest Interiors we offer Chesterfield sofas that are all hand-crafted in Lancashire to your bespoke requirements, so you can be fully assured the quality of your new sofa is of the same standard as the rest. 2 and 3 Seater Chesterfield sofas are available, in addition to the famous Queen Anne chair and cosy Club chair. You can even get a Chesterfield sofa bed for the most luxurious night’s sleep you’ve ever had! If you would like more information about our Chesterfield sofas please don’t hesitate to contact us, and feel free to have a browse of our living room furniture for the perfect style for your home. 0 Comments To "Chesterfield Sofas Add Class to Your Home"